Municipal composting programs continue to grow in popularity, but some local governments are finding more success in the creation of these programs than others. 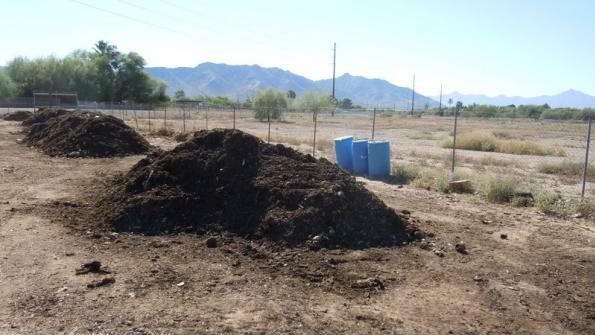 Phoenix’s new 27th Avenue composting facility earned an Envision Silver verification from the Institute for Sustainable Infrastructure (ISI) in April, making it the first solid waste infrastructure project in the U.S. to earn Envision recognition, Waste Today reports. The facility earned high marks in the climate and risk, leadership and natural world categories. "The 27th Avenue compost facility's closed-loop system will serve the city of Phoenix and neighboring communities for years to come," ISI President and CEO John Stanton told Waste Today. "The sustainable benefits associated with this project are numerous, including a significant waste diversion from landfill, which will help the city achieve its 40 percent waste reduction goal by the year 2020." But not all programs are created equal. A composting facility in Hawai’i County, Hawaii, didn’t even get off the ground, BigIslandNow reports. The Hawai’i County Department of Environmental Management withdrew its Draft Environmental Assessment (DEA) for a composting facility in Pana’ewa on April 4 after residents voiced concerns that the facility would adversely impact the community. In the withdrawal letter, the department also withdrew its Anticipated Finding of No Significant Impact for the East Hawai’i Organics Facility. The facility was intended to divert organic waste from Hawaii landfills, BigIslandNow reports. The county is planning on pursuing new locations for the proposed composting facility and is in the process of renegotiating the composting contract to allow it to move to alternate locations. Programs have also seen mixed results in beginning. Austin, Texas, aimed to implement a residential composting service in June, but the city won’t be able to begin the services until at least the fall, the Austin American-Statesman reports. City council members have turned down multiple staff recommendations on contracts, making staff members indignant at not knowing what council members want. On the other hand, Highwood, Ill., has begun requiring residents to separate food scraps from their household garbage, the Chicago Tribune reports. This move comes after Highwood became the first Illinois city to add food scrap composting to its basic waste hauling contract in 2015. Nearby village Lake Bluff also became the first Illinois town to implement year-round food composting in March, after having its own composting facility. "We really feel like this is going to help us increase our recycling rate and that, in turn, helps us keep the overall cost of our hauling program down," Highwood City Manager Scott Coren told the Tribune. "[Contracting company] Lakeshore Recycling Services provided an exceptional bid that allowed us to do something new and innovative that we believe more towns are going to be doing in the future."